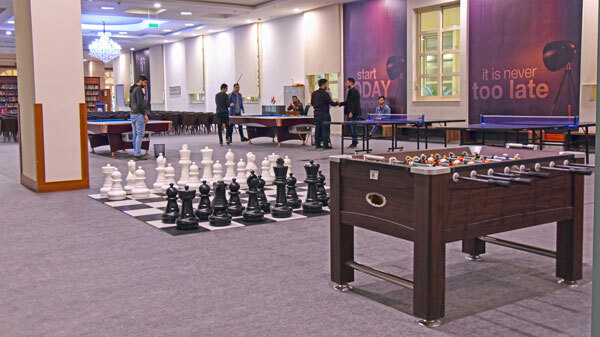 The student lounge and Game rooms are spaces specifically created to be used by AUK students. The student lounge room serves both as a relaxation area and a working space for students allowing students to socialize and come together in one space. The Game room is located on the Lower Ground floor and includes a variety of gaming facilities as well as and a bar (serving non-alcohol beverages). 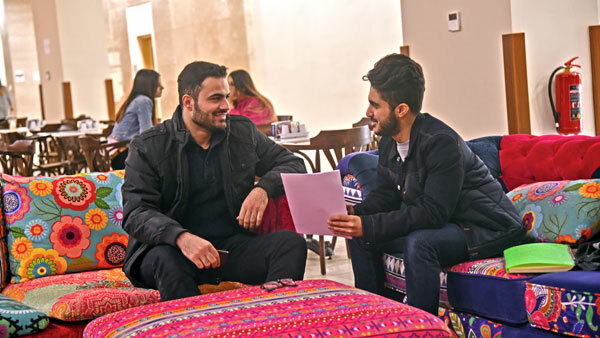 The Student Lounge is a comfortable open plan area created for student gatherings, studying, and relaxation for in between and after class sessions. The Lounge is equipped with comfortable furniture consisting of sofas, tables, chairs, television screens and magazine tables.